Computer networks have become an essential part of our lives. This being the case, there has been multiple attempts to ensure that they remain useful to use as well as be in a position to maneuver through them for added functionalities. Important functionalities such as remote access as well as sharing of resources are crucial to a network although it is important to be observant to avoid chances of hacking which is a great threat currently. 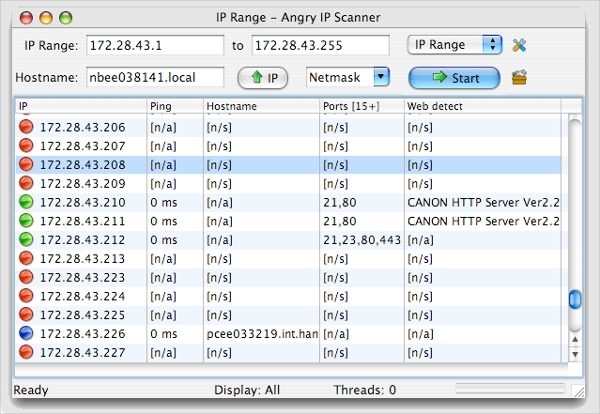 The Advanced IP Scanner is a reliable LAN network analyzer that is distributed for free. The software indicates all the network devices and gives access to FTP servers and shared folders. With the use of RDP and Radmin, you can be in a position gain remote control and even switch computers off. 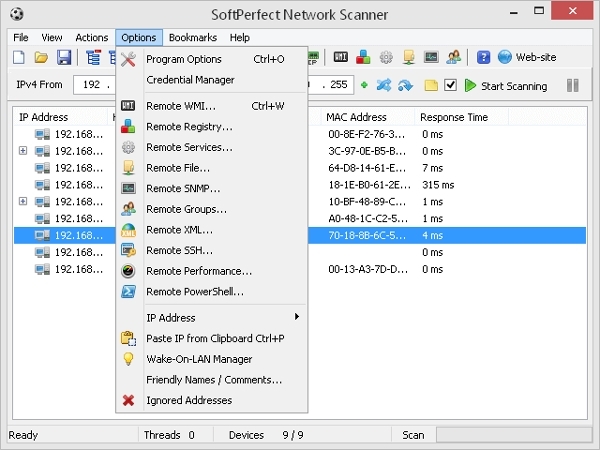 Despite being distributed freely, SoftPerfect is a very effective network scanning tool that will change your experience with the way scanning tools work and what they can achieve. With this software, you will be in a position to scan for the listing TCP/UDP ports and export the results to files you can readily access such as HTML. Popularly referred to ipscan, this is a software that is of great utility especially to network administrators as well as other persons that could have an interest in the field. The software is open source and also cross platform. The tool is extensible with many data fetchers, and it provides a command line interface. Softwares for network scanning and exploration were most common with the Linux platform due to its developer’s characteristics. However, also the Windows platform has come up with tools that are actually even easier to use and thus these are currently the most common. Mobile platforms such as Android are also on the rise. This software on your Mac machine will scan your LAN for the devices connected as well as another resource. It will the make an interactive and easy to read the list of these devices arranged in various forms such as by their MAC address or even when they were last seen. The tool is very powerful. Fing is a tool that is both fast and accurate in letting you know the resources available on Wi-Fi network you are connected to. Fing is a professional App and will help you resolve network issues, detect intruders as well as assess the security levels of the network to ensure the safety. For those on the Windows platform, this is powerful yet easy to use software for NetBIOS and LAN scanning. The tool deploys a lot of tools all which are aimed at giving you the most effective control over your network. Some of the tools include; traceroute, WOL manager, and wireless network scanner. With the use of the EasyNetMonitor, you can be assured of getting information online about the devices in your network in the easiest and quickest way. The tool is unique, and you do not need to install in your PC but rather just download and use and the best part is that it’s all free. What is a Network Scanner Tool? Network scanners are tools that are developed so as to assist in the various functionalities of a network. In the majority of the cases, they are made with the aim of ensuring that the average user is in a position to gain access to as many resources within the software as possible. As a result, these tools have made really easy in areas where it was total hell, especially to the average users. At the same time, they have made the arrangements and administration of a network pretty easy thus making the work environment even more effective and efficient leaving the staff mire productive. For the ultimate results, we constantly need refinement tools and network scanners offer exactly that. With the proper usage, they can turn an average network into a very great resource that will certainly justify the deployment of such a system in the first place and note that they are easy to use.